Sometimes half the fun of going on vacation is in the days leading to it. We sit and schedule sightseeing tours, bookmark that hole-in-the-wall place our coworker told us about, and leave room for all the other tourist traps. And while many are packing their bags to top destinations like Maui and Rome, maybe you’ve got somewhere closer in mind. If you are ready to drive a couple hours north to the west coast of Florida, we will take you on a food, distillery and brew tour through the beaches of Fort Myers and Sanibel. Our visit started on the property of Westin Cape Coral Resort at Marina Village, boasting with views of the Gulf of Mexico, Caloosahatchee River and Tarpon Point Marina. There was no denying that mornings here would be nothing short of breathtaking. As we walked into the resort’s foyer, our eyes set on the large spiraling staircase wrapped around a beautiful rainfall in the center of the room. We dropped our bags off in the suite and were ready to start on the tour. Our transportation arrived and we were beyond excited to feast on the day ahead. So much on the schedule, but our minds and bellies were ready! But before hitting up the first brew spot, we needed a little cushion for the ride. Fancy’s Southern Café opened its doors to us for some soul food. With modern accents and a washed out brick wall, Fancy’s draws you into every corner. It’s like the Mecca for interior design enthusiasts. Every piece looks tailored and deliberate. The same can be said about the menu items. From frog legs, deep fried cheese grits, and a meatloaf with sourdough toast, every choice is the right choice. Our choice was the Chicken and Waffles. And just as the name of the place implies, these were a bit fancier than what you may expect—but at a great price! The deep fried chicken breast is placed over a pool of house made buttermilk syrup. Then it is topped with made-to-order waffles and another drizzle of the syrup. Without overpowering one another, the savory chicken and sweetness over the waffles made for some serious comfort food. Soon we were back on the bus and headed to our first Brew Co. As defending champions of the Best Large Brewing Company, Fort Myers Brewing is expected to produce over 2,500 barrels this year. That’s a lot of beer! Never mind that you can also find it all across Florida from Naples to Sarasota, and Jacksonville to Key West. Their beers on tap are chilled and delicious. Some of our favorites were the Chocolate Peanut Butter Porter and the Red Tape (American Amber Ale). However you take it, there are endless options. Growler fills are also available so hold on to yours and come back for a refill. At this point we were ready to jump on the bus and head to our next craft beer brewery—Point Ybel Brewing Company. Every night of the week there’s a good reason to come by: open mic Tuesday night, trivia on Wednesday, jazz feels on Thursday, and live music every Friday night. 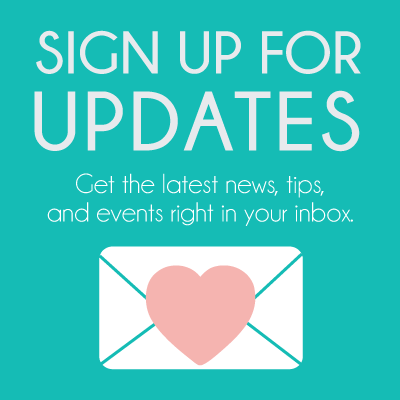 While that calls your attention, there’s something else pouring up on tap that is a bit more interesting. On their tap list you will definitely find local fruits are always incorporated. Like the Chocolate Strawberry Stout and the Beach House Saison with notes of peach and citrus. But what they are really known for is their monthly Sour Fest where they highlight sour beers like the Spearmint Sour. The most enjoyable part of this stop was experiencing new flavors and combinations that make these brews stand out. Lucky for us, Point Ybel also partners with the café next door for food pairings once a week. We heard cheese was on the menu, so of course we walked over to get a taste of 11:Eleven Café. Made your wish yet? Well, ours came true with crispy strips of bacon, Bavarian ham, and all the cheese! Literally—cheddar, mozzarella, Parmesan, ricotta, feta, smoked Gouda, Havarti, and the list goes on. The menu starts off with your choice of a base: grilled cheese, naan flatbread or waffle, baked potato or spinach salad. Get creative with the cheeses or pick a flavor. We like a nice kick with our cheese, so we ordered the Chicken is a Jerk. On a base of warm naan flatbread, they place the oven-roasted chicken that is tossed in a house jerk sauce. We suggest adding bacon and a scoop of macaroni and cheese. It’s just the right thing to do. And with a manageable portion, the flavors are satisfying. After a successful first day on the tour, we hung up our growlers and headed to the hotel. The ride back was quiet as we all slowly drifted into the motion of the van. A sweet surprise awaited us in our room thanks to our wonderful hosts at The Westin Cape Coral. It was a selection of SuperFoodsRx dishes, packed with powerful nutrients to energize and fuel our day. We would definitely need the mixed nuts and dried fruits for the next day. We had an early start to our second day on the Food & Brew Tour. The bus was ready for us by 7:45 AM. After snapping some selfies along the beautiful sunrise, we headed to the House of Omelets in Cape Coral. It really is a great spot for vacationers to stop in for a quick and affordable breakfast. All the while, you get to enjoy heart healthy options as well as classic home style meals cooked to order. There are many omelets to choose from, but if you are looking for an old favorite, we definitely recommend the Southern omelet. With a welcoming smile, the servers bring out your order and help keep things running smoothly. Something else to remember here is to order a stack of their fluffy pancakes. They are worth the calories! Also worth the calories are the handcrafted rums at the Wicked Dolphin Distillery. Since 2012 they’ve been making true Florida rum from the sugarcane fields right in their (almost) backyard. Everything starts with Crystal Rum that is later modified into batches where they can add other spices to create new brews. And in case you were wondering, yes, there is a secret ingredient; but we’re not telling. Their Hidden Barrel Reserve has won them multiple awards as a top Floridian Craft Rum. We got a sampling of their coconut rum, gold label, and even some fun mix featuring a RumShine. Harriet was also there to meet us. She is a handmade gold tank that can hold 750 gallons volumetrically. Harriet is a big gal and she left a lasting impression. Our next stop was at Big Blue Brewery, which offers 24 different beers on tap and also features many local brews. We were led through a tour of the facility while we cooled off from our previous tasting. They recently opened to the public and have been working earnestly to fashion a product that keeps the planet in mind. Recycle. Recycle. Recycle. From the popular flight of beers, we tried a light Golden Ale, Honey Brown (our favorite with a refreshing and caramel taste), and a Pumpkin Ale that is crafted with pumpkin powder and spices. You’d have never noticed the difference! With a striking design, we can see this spot quickly filling with the vibrant crowd of Downtown Cape Coral. The next distillery tour of the day was scheduled at List Distillery in the heart of the Fort Myers downtown area. We first walked into a striking gift shop where they also host tastings after the tour. But before diving in, we were guided through the history of how they came about all the way from Austria. A sweet couple stands behind the family owned business. Using locally grown crops, their craft spirits include Hazelnut Liqueur, White and Dark Rum, Coconut Rum, flavored Gin, and even a Caffe Latte crème liqueur. This is the spot to stock up on all sorts of fun, local spirits to keep around the house. We changed gears a bit and drove down to Bury Me Brewing. You walk in and are immediately transported into Halloween season; except it looks like that year-round. Their craft is in creating small batch beers with bold flavors. What keeps them alive is their constant innovation while keeping some tradition in the mix. One we tried and loved was the Creamation (honey cream ale). 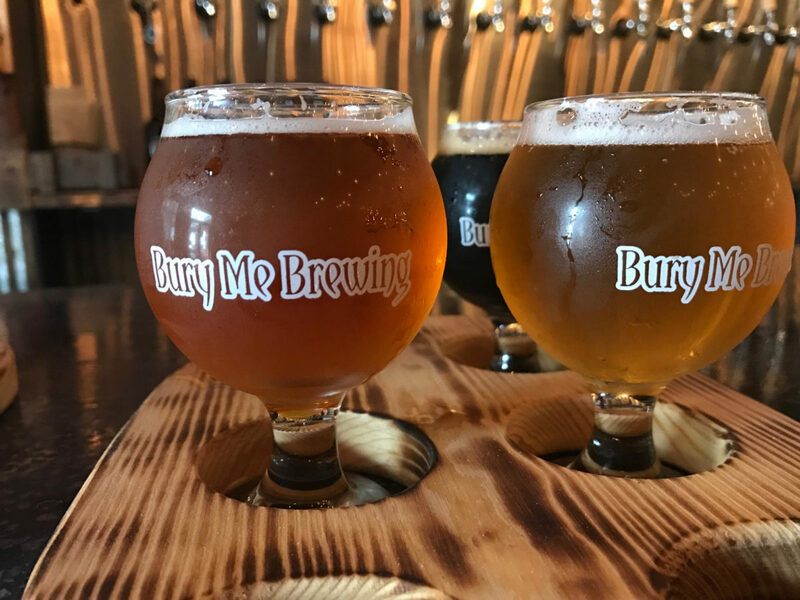 Just like the creative names for their beers, the guys behind Bury Me Brewing carry a bit of sarcasm. Clearly the play on words keeps them fun and relatable. We also enjoyed getting 6 ft. Down oatmeal style (stout). After a full day of imbibing, we were craving all the goods from The Nauti Mermaid inside the Westin community. For starters, the herbed goat cheese and roasted tomato dip. Then we went right for the flame-grilled Nauti Burger. It was juicy in all the right places. But as if that weren’t enough, we sealed the deal with a decadent s’mores dessert. Our trip to the west coast of Florida gave us a new perspective on our friends from the other side. We got a taste of all their fine brews and spirits, munched on the yummiest southern-style foods, and traveled through miles of beautiful beaches. Add this one to the list for your next staycation right on Florida lands.